Last month Hurricane Irma made landfall in Florida, leaving a wake of devastation in its path. An estimated $2.5 billion in damage was done to production agriculture across the Sunshine State. Dairy producers were not hit as hard as other sectors, but losses are still expected to total near $12 million according to officials with the Florida Department of Agriculture. “Florida agriculture took it on the chin as Hurricane Irma pummeled the state, and the $2.5 billion in agricultural damages is only an initial assessment,” says Adam H. Putnam, Florida commissioner of agriculture. A report released by the Florida Department of Agriculture with data from USDA’s National Agricultural Statistics Service assessed damage in all of Florida’s 67 counties. Irma forced milk processing plants to shutdown prior, during and after the storm. Southeast Milk Inc., a milk cooperative in with members across Florida, lost an estimated $1,951,695 from milk dumping and milk being sold at lower prices in other markets. 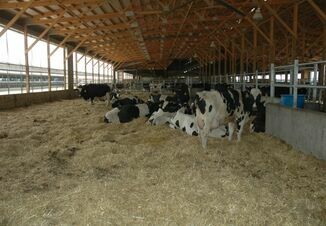 Electricity went down for several days at dairies making cooling animals with fans difficult, leading to heat stress and lower milk production. 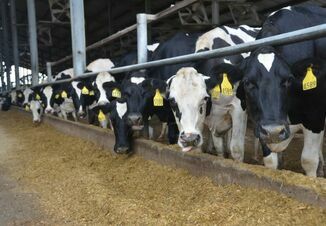 It is estimated Florida dairy farms will lose $7.5 million in revenue during the next four months because of the health setbacks cattle suffered. 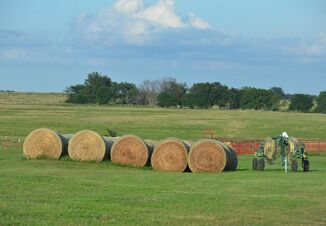 $4,000 per farm in debris cleanup and rebuilding fences: $160,000. $50,000 per farm in damage to barns, sheds, milk parlors, and other infrastructure: $2,000,000. $5,000 per farm in equipment damage: $200,000. “We’re likely to see even greater economic losses as we account for loss of future production and the cost to rebuild infrastructure,” Putnam says. Total losses, including crop losses, to dairy producers in the state are estimated to be $11,811,695. The report states Florida has more than 100 dairies milking 125,000 total cows. Annually milk sales are more than $500 million in Florida.